Wow so much info on here that I am just hearing about but glad I discovered, thank you for this! My son is going to be 5 yrs old, non verbal ASD, no apraxia. Would I just then need to give him the Pro EFA only? And if so how many daily do you recommended? My son will be 4 next month, he has very little speech, he was diagnosed with ASD, please, what can I do to help with him talk more? I’m very confused about the omega fatty acids, he’s extremely picky with food and won’t be able to swallow capsules. My child is five years old and is having delayed speech, he has’nt started speaking words. Can you please review and confirm if these are of the right specification? My daughter is 20 months old n her speech is delayed. I wanna know tat, giving her fish oil ll improve her speech, if yes suggest me which brand to give her n how much dose.. I have a 4 year old that says some words, but hardly ever uses sentences. She repeats a lot of words and sometime babbles. She also has a hard time answering questions. I had her evaluated and was told that she is language impaired. I recently had her start language therapy sessions weekly through the school system. This week I was notified by her private school that they don’t want her to return for the next school year due to her lack of speech. This is both heartbreaking and frustrating on many levels. After doing research online I came across your website. I feel as if there’s hope. I’d like to order the fish oil ASAP. Should I start her on two of the ProEFA 3-6-9 and one ProEPA? Or should I only do the ProEFA 3-6-9? Also, I stay in the treasure coast area. Are you able to recommend a good language therapist and preschool that could help my daughter? As she’s only 4 years old I would also seek second opinions on the diagnosis of language impairment as that is the assumption when a child isn’t talking that they don’t understand. But if your child isn’t talking say due to apraxia https://cherabfoundation.org//2006/parent-friendly-signs-of-verbal-apraxia/ that is an expressive disorder of speech -not a language disorder. Apraxia or other impairments of speech can create lags in language due to the delays in speaking but that’s different than an impairment. Hi, My 4 year old ASD son who has a severe speech delay currently takes Balanced Essentials Liquid Vitamins which contains Omega 3, 6 and 9 via 3mg Flax seed oil. He is the pickiest eater but will happily take the Liquid vitamin which is great for us so hesitant to change to something else he may not. Has anyone combined flax seed oil with a Fish Oil supplement? I’m not sure if it would overdose my son if I did, but not sure he is getting the amount of Omega that would help him? Thanks for any advice. My son is three and a half and diagnosed with ASD and receptive expressive language disorder. He’s on liquid1 tsp per day Children’s DHA by Nordic Naturals. After reading the article I start to realize this might be not the best choice and dosage for his needs. Please let me know what’s opinion and if you think I should replace the DHA or to add on EPA and EFA. The Nordic Naturals Children’s DHA is just cod liver oil. Please read the dosage page here http://pursuitofresearch.org/2016/09/13/dosage-of-fish-oil-for-children/ because most of us found formulas higher in EPA to DHA to be better. Also for some reason I found the Omega 6 oil GLA to be important too for some reason. I know fish oils can be confusing -but good news is they are all healthy even if it’s the “wrong” formula! Let me know if you have questions still. There are zero studies I’m aware of with children and vitamin e so who knows what a mega dosage will do to a child’s internal organs and health over a few weeks, months, years. I can tell you within days (DAYS) these were some of the side effects I and others saw on one formula out there that has mega vitamin e https://www.truthinadvertising.org/speak/ Please be very skeptical and question everything. Don’t jump -don’t listen to me or anyone else (well except about being skeptical and questioning everything) You do not want to have to go through the guilt of knowing that you are responsible personally for in essence poisoning your own child. That is what hypervitaminosis is -vitamin poisoning. My point is that any drug -or supplement has a risk of side effects. This is one of the reasons I now focus on food. The one exception is fish oils which have tens of thousands of studies to validate their safety and health benefits for humans of all ages. So even if they don’t “work” they are still healthy. Please let me know if your child has a diagnosis because if he doesn’t -it’s still possible it’s just a developmental lag which 75 percent of late talkers have just that. If it is just a developmental lag -fish oils and therapy may help, but they may not. With a developmental lag a child will start talking at some point without any help -just later. Saying that -whomever told you that you can’t use fish oils and vitamin e together is pulling wool over your eyes. Just about all fish oils contain alpha tocopherol as it’s put in there in small amounts (perhaps around 15 IU per capsule) to help with stability of the oils. And yes when we used the 200/200 alpha gamma that was added to the fish oil regimen. I don’t know of one parent who used vitamin e alone. Not one -and I’ve been outreaching for 18 years. Not saying it doesn’t exist as only around 80 percent of kids are responders to the fish oils with the right formula leaving around 20 percent who are not responders. My advice is to stop the fish oils totally and observe. Do you see any regression in any area. Then start them again and observe -do you note any progress? If no regression off and no surge when starting again your child is probably not a repo9nder. Even if your child isn’t a responder there are so many other strategies out there that are benign between fish oils and heavy metal detox -which can come with a side effect of death http://scienceblogs.com/insolence/2006/11/07/the-complaint-against-dr-roy-kerry-kille/ (that’s about a child who died from an accident with chelation therapy) And I get why some parents who have children with severe autism who tried so many other things will be willing to go to that extreme…but again don’t you just have a 3 year old with an undiagnosed speech delay? I’d be willing to speak with you -but if not -either way, in addition to seeking accurate (if any) diagnosis to secure appropriate therapies and placement, seek out an integrative medical doctor who has a focus on nutrition- ayurveda which is the world’s oldest medicine. Even if nutrition and Ayurveda don’t help it’s healthy and can’t hurt. Again would be willing to speak to you. Hi, Lisa: I just got about the information about the fish oil can help the child with speech and the bain from my son’s case manager from the annual visit and searched on line and got lot helpful information here. My 7 years old boy can’t not talk now. But he can get mama and some sound and got the development delay diagnosis when he was 2. But didn’t get the test of autism. After I read your posts and I decided try your suggestion fish oil to him. I ordered on line for NNProefa 3-6-9 and NNProefa and before I last check out it showed up a notice said these products contain the warning of Ca pro 65 said these products contain chemical known to ca pro 65 cause cancer and birth defects or other reproductive harms. I am not sure why ca has this warning and make me concerned about these products. Any explains for this warning or these products safety? Ps I live on California and not sure other states have this kind warning for these products. I don’t see if on my bottle but I’m in Florida. On the website for Nordic Naturals it says “All fish oil‚ regardless of the kind of manufacturing process used‚ needs to be processed in order to remove contaminants and pass minimum laws and standards (such as California’s Proposition 65). This process always requires the use of heat.” https://www.nordicnaturals.com/en/FAQs_portal/FAQs_Group_All/638 Please contact Nordic Naturals and ask them. There are numerous families using fish oils from California and you are the first ever to bring this up. Unless I’m misunderstanding your question? I already got the Nordic Naturals Baby DHA for my 24 month old son who has a speech delay. Will this work for now or do I need to purchase another product fromanagement Nordic Naturals? My 7 year old son has severe Apraxia. His verbal skills are equivalent to a 2-3 year old. He attends speech therapy twice a week for about 3 years now and is progressing very slowly. I would like to find out more about the recommended dosage for him and also to see if you know of any additional benefits of taking Vitamin E along with the Fish oil for speech apraxia. I do not at all recommend taking vitamin e along with fish oils. There is no evidence to support it, and instead, we’ve had a number of reported side effects from vitamin e supplementation -many fish oils contain a nominal amount of alpha tocopherol for stability (maybe 15 IU per capsule) and that’s OK. Avoid any fish oils mixed with high levels of vitamin e or supplementing it separately. We are in the auK. My son is 3 yrs 10 months. He has moderate ASD. He is extremely verbal I suppose comparative to what he was. I have bought Equazen omega 3 and 6 children’s chews for him. I’d be grateful for some guidance on the appropriate dosage.. the container says “6 chews per day for the first 12 weeks.. followed by 2 chews per say”. Us there anything else I should be considering as a supplement? I apologize for taking so long to get back to you. Have you seen results with the EyeQ chews? The dosage I recommend is on this page http://pursuitofresearch.org/2016/09/13/dosage-of-fish-oil-for-children/ and the EyeQ is a great formula. I haven’t compared the chews to the capsules but if it’s not the same formula -here’s how to serve fish oils to a toddler http://pursuitofresearch.org/2016/06/10/something-smells-fishy-serving-kids-fish-oils/ Let me know how it’s going! Oops… Typo. That was meant to say we are in the UK. Hi Lisa. Good to find this page. My 2 year old son isn’t talking except I tell him to say the word. Like ‘do u want water? , say water’ then he says it. His dad stutters alot so we are thinking he might want to do that too. Would giving him this oil be of any good? I want to start him up on the pro EFA 369 . Do I need to add the ProEPA as well for better result? First of all thank you so much for all these resources! My almost 3 year old boy has apraxia of speech and although he has been taking DHA for children only the last 2 weeks we are seeing so much improvement! We are amazed and so happy to finally hear him saying more words and expressing his wants and needs. What is the difference between DHA for children and PROEFA 369? They are both from Nordic Naturals. We haven’t tried PROEFA yet…should we instead of the DHA? Also, should we start giving him vitamin E too? Children’s DHA from Nordic Naturals is cod liver oil. Any oil made from the liver of the fish naturally contains vitamins A and D. You would need to be careful with higher dosages of fat soluble vitamins as they store in the body Fish oils not made from the liver of the fish do not contain fat soluble vitamins. If you started already -would love to hear your updates! I also recommend stopping what you think is helping for a few days so you can note if there is any regression off. My daughter is 17 monts old.she babbles but does not have any clear words yet.l bought some nn proefa369 and nn proepa capsules.what is the dosage you recommend for her.please answer me as soon as possible because i am so excited to start the combo.thaks a lot. My son is 27 months old. Along with his pediatrician, I strongly believe he has verbal apraxia. In addition to speech therapy, I am interested in starting diet supplementation with fish oils. 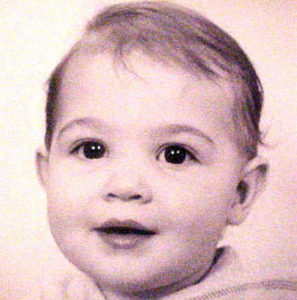 I have read over much of the information and research presented on the Cherub Foundation’s web page. I wanted to try the recommended formula of 2 capsules of NN ProEFA369 and 1 capsule of NN ProEPA. Would it be too much to use this formula in addition to the one serving of the IQ powder for him? PS: It occurred to me after doing some research that I began seeing signs of verbal apraxia when my son stopped using his infant formula (enhanced with DHA) at 14 months old. Almost, immediately after stopping his DHA enhanced formula, there was loss of intentional words. Thank you for your research, commitment and caring. Then increase to 2 capsules of NN ProEFA 369 -and then add the one NN ProEPA. Within the first month or two -try stopping the fish oils (whether you think they are “working” or not) and observe for a regression. And then start them again and see if you note another surge. That’s when all of us really know what the fish oils are doing! I’m pretty confident they’ll work for you too as they do for most. This is a back to school blog I just wrote for IQed https://getiqed.com/blogs/food-for-thought/iqed-smart-start-for-back-to-school I know you are almost a year away from having to think about back to school (if your child qualifies for the IEP) but you may appreciate it as times moves quickly! At your child’s age you’d only need a scoop or two a day- and you can share with his pediatrician or neurologist- I worked with an award winning pediatrician on IQed https://getiqed.com/pages/meet-our-team and I highly recommend it and love it! If the SLP suspects apraxia as well, I highly recommend you get an evaluation by either a pediatric neurologist or developmental pediatrician to confirm or rule out soft signs http://pursuitofresearch.org/2014/07/29/parent-friendly-soft-signs/ Do you notice any signs on this page? Thank you for your response! My son is currently receiving PROMPT therapy by his SLP. It sounds like she also believes he is apraxic. We will be going to a developmental pediatrician also. I looked over the soft signs. I do see many- low oral tone (unable to blow bubbles or blow out a candle, doesn’t truly pucker), poor sleeper, high pain threshold, some sensory seeking but not habitual or OCD like, ( from 17 to 24 months he was a high oral seeker on all paper, but that has stopped). In addition, he does have tendency to over stuff his mouth (although it’s improving greatly). There are also some delayed fine motor abilities such as poor distal grading of the wrists and hands (stacking blocks is hard and the shape sorter took a long time). My son started pointing at 21 months and waving at 23 months, which is quite late. I’m also watching for auditory processing delays. I am pediatric school based physical therapist, so I’m watching everything! Other than that, he is a beautiful, happy little man, who has super strong social relationships and is loving life other than the frustration to communicate at times. So, we will get through this…I can’t tell you how much I appreciate your story and resources. It is really helping me in so many ways. I am also reading The Late Talker book. I just read the part where you mentioned your son demonstrated regression after having a viral infection. Around the time when we stopped formula, saw a loss of the two words he had (car and cat, un prompted), my son and I both had cox sacci virus. Though your personal experience, what roll do you think if any the virus played? Has any of those you’ve worked with ever seen a similar timeframe or connection? PROMPT is an excellent therapy to address a motor planning impairment, the issue is that apraxia today is rarely just a motor planning impairment, and it’s also typically not just limited to the face/mouth -as you are noticing we are seeing a global presentation. So it’s awesome you have that appointment with the developmental pediatrician. Either a developmental pediatrician or a pediatric neurologist can help spot the global soft signs. I highly suggest prior to the evaluation by the MD to take various short videos of your child in typical situations. Playing, eating, trying to communicate etc. The day of the visit he may not be himself, and you want the doctor to see how he normally is. Yes there have been many soft signs. My son use to oral seek and chew paper and mouth many objects in addition to over stuffing food between 17-24 months. After 24 months, this improved dramatically after quite a bit of work (reflex integration, redirection). There is decreased fine motor grading, and some decreases planning skills. Pointing started at 21 months, waving at 23 months. He is not a great sleeper either. He is not able to blow a horn or bubbles and not yet mimicking to stick his tongue out of his mouth (like a snake). I do believe he is a responder. In the first week, I am hearing more variation in babbling and new sounds. I also heard the resurgence of the word car, which I haven’t heard in several months. I am reading the book The Late Talker. I was interested to read about your son’s regression after a viral infection. My son had cox sacci at 14 months, around the time that typical language development seemed to stop. Have other people in your path experienced this? 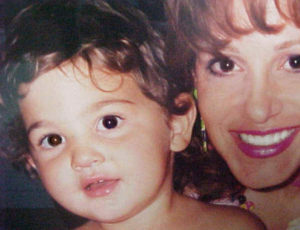 “Thus far the evidence seems to indicate that fever, if anything, is a risk factor for autism. Maternal influenza and fever during pregnancy proved to be risk factors for the later development of autism in the CHARGE study (Ousseny Zerbo et al.). In some cases autism seems to develop more often than it should after febrile seizures. Also in certain inherited conditions, e.g., mitochondrial disorders, fever may mark a regression into an autism phenotype. I have a 34 month old son who is not talking yet. We are taking him to Speech and Occupational therapy since one month . His speech therapist is confident he does not have autism. She needs another month or so with my son to rule out Apraxia. I stumbled across your blog while researching possible cures for speech delay and/ or apraxia. It’s been a month now to be exact that I have started giving him Nordic Naturals ProEFA-3.6.9 capsules twice daily. His eye contact is better but no words yet although there is an increase in babbling than before. I do notice there is a tremendous increase in his appetite and he sleeps soundly. However, my main concern is his speech or lack of it. I am panicking now as I thought that Nordic Naturals would be the magic cure to his absence of speech. Please help me with any dosage change instructions as I am losing hope. My son is 3 and half years old. He is having ASD and getting ST and OT in one of the special school at Phoenix. He is also getting private ST from one of the center in Phoenix.We can see some improvements after going to school. Our developmental pediatric asked us to give fish oil and omega capsules to him. I have started giving him 1 NN proEFA369 capsule per day. From your post I saw that 2 NN ProEFA 369 with 1 NN ProEPA is best formula. Could please let me know whether proEPA is needed for him now or 1 ProEFA369 is enough for him or something else I should give him? Also for how long I can give this to my son. Hello, my son has speech delay, i would just like to ask if its ok to other brands? As long as it has EPA in it? ello, my son has speech delay, i would just like to ask if its ok to use other brands? As long as it has EPA in it? This page https://pursuitofresearch.org/2016/09/13/dosage-of-fish-oil-for-children/ covers the formula that works for most I found you want a formula that has higher EPA to DHA (both Omega 3s) with a small amount of GLA. For fish oils what appears to matter more than dosage is formula and quality of the oil. Thank you for this fantastic information. 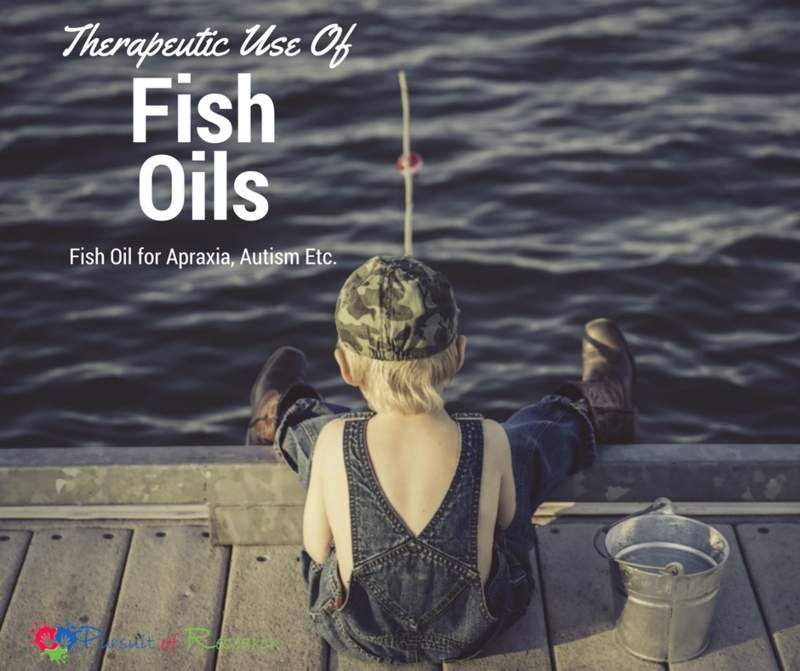 My son is very speech delayed (possible apraxia), so I definitely want to try him on fish oils. He is 2 years and 4 months old. Many of the bottles however, state that these are for children age 3 and above. I see many parents are giving them to their children before the age of 3. Do you have any views on that? Also, I am based in the UK so will buy EyeQ Equazen. I found that they have the liquid available – here’s the link. Do you think it would be ok to give him this? I cover dosages on this page and explain the legalities of why companies have to say what they do unless there is research http://pursuitofresearch.org/2016/09/13/fish-oil-capsule-vs-liquid-for-children/ It is a bit ridiculous that we have these warnings on fish oils which historically kids were given a tablespoon of a day for generations and meanwhile no warnings on french fry and doughnut oil (trans fats are very bad for us) One capsule of NN ProEFA 369 is about the dosage approved for infant formula. My husband and I both read your book and have seen the benefits of the fish oil treatment. My 5 year old son was diagnosed with severe apraxia of speech and now he is telling whole stories. He does speech 8 times a week and takes the fish oil every morning. We put it in his morning chocolate milk and he doesn’t know the difference. I was curious if you suggest to stop the fish oil at a certain age or keep going. My daughter is 26 months old and only has about 2 words. 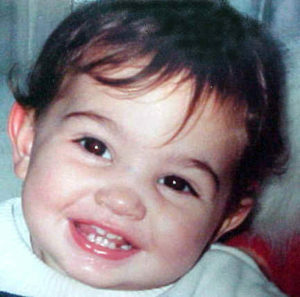 She was born with a soft cleft palate which was repaired at 9 months. She was diagnosed with 22q deletion and her speech therapist have not diagnosed her with apraxia but are leaning towards it. My daughter’s receptive language is very good, and she tries so hard to make words. Would the fish oil work for her? If so, which one should I buy and what would be the dosage? My son has just turned 3years but he is still not talking.He can say a word or two occasionally but he tends to talking More often with mouth closed. He has received about 5 session of speech Therapy but it has not helped. He has not been diagnosed with any condition.He is a normal happy child.The speech therapist said he has referred him for cognitive assessment. I brought for him the NN omega 3 syrup when he was 2 but did not continue when it finished. He used to say most of the alphabets but he doesn’t anymore.Is he regressing? What do you recommend for him?